This SUV – a Kia Sorento – was spotted on the road. It was seen moving with a woman seated ontop of it. 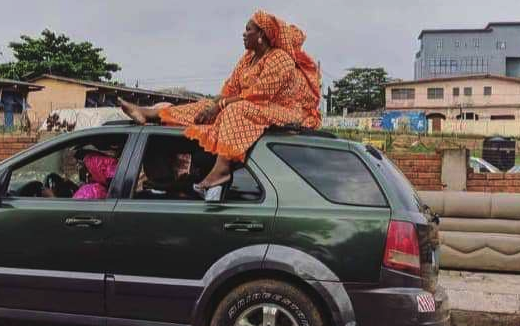 Apparently, the car was filled to capacity, leaving no available sitting space for the woman ontop of the car. So, improvisation became necessary. “Necessity is the mother of invention”. 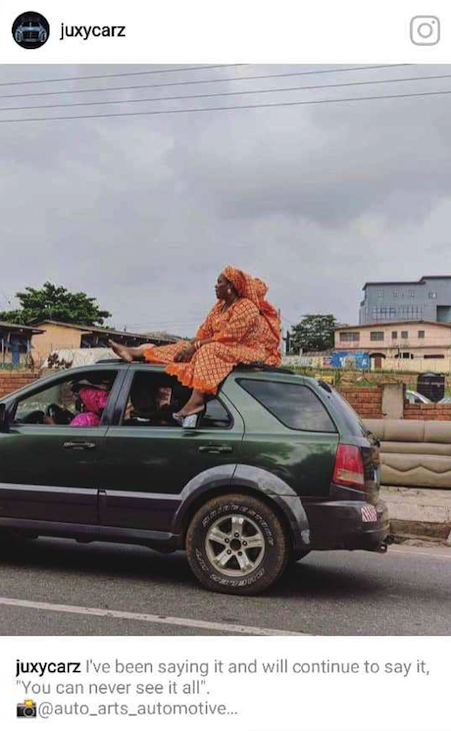 0 Response to "A Mobile SUV With A Woman On Top Of It Spotted On The Road (Photo)"